We welcome Henry Stott as the newest member of the team of dentists here at Orgreave Dental Surgery. Henry graduated from The University of Sheffield in 2015 with a B.D.S. degree, completing his Foundation Training at Broadfield Dental Surgery in Heeley, Sheffield. 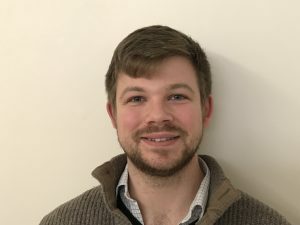 After two years working in Rotherham, Henry joined the practice in November 2018. He is registered with the General Dental Council (Registration No. 259228) and is indemnified by the Dental Defence Union. He is male and a UK graduate. Henry is committed to improving as a caring and considerate professional, undertaking regular Continuing Professional Development to ensure his knowledge is up-to-date and to improve the care and treatment he provides. Henry lives in Sheffield, is house-hunting and enjoys war-games and real ale. Henry adheres to the General Dental Council’s Standards for the Dental Team.